Last night, after a long and heated argument with your spouse, you hit him/ her. You had heard about people who use violence against a spouse, but you deplored it. You never thought you would do it yourself. Now you feel guilty about what you’ve done, frightened that you might do it again and fearful about what the future might bring for you and for your family. What can you do to prevent this violence from recurring? How can you turn the situation around? There are community resources throughout the Los Angeles area that can teach you how to deal with anger and frustration in more constructive ways. You can also seek out services that will help you get at the root of the problems that are causing the stress in your life and your relationship. 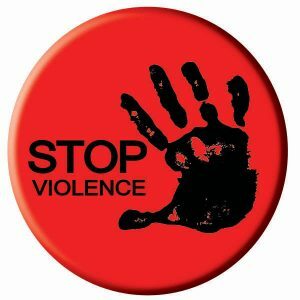 The Coalition of Mental Health Professionals Inc.
• Domestic violence groups, with an emphasis on learning non-violent methods of problem solving and on anger management. • Anger management programs for those struggling with feelings of rage and stress. The Coalition’s primary role is to eliminate violence in the home. To that end, it offers not only programs and services for victims of violence but also a Batterer’s Intervention Program that “helps participants modify behavior patterns and break the cycle of violence by learning new skills around power and control, accountability and communication.” There are special groups for male teens, 18-years and younger. Arguments over money and other financial problems can often trigger arguments that escalate into domestic abuse. Paying down debt and/or getting a handle on money management can reduce the tension both you and your partner may be feeling. The Los Angeles Public Library offers a variety of money management information and resources through this free program. You can check the website for a list of programs on financial literacy, building credit and other topics, which are offered at various library branches throughout the year. An overload of debt can put stress on a marriage or domestic partnership. If you or your partner are drowning in credit card debt—or just getting overwhelmed by your monthly bills–you may want to consider credit counseling. Since there are dozens of organizations out there that offer these services, how do you know which one are legitimate? Founded in 1951, the NFCC is the nation’s largest and longest-serving nonprofit financial counseling organization. It maintains a list of the agencies it accredits as well as the counselors who have become certified through its training program. The NFCC has an online web resource and a number you can call to determine which of its members’ offices are closest to your location. NFCC offices offer programs for everything from debt management and credit counseling to credit report reviews and financial education. Is substance abuse the problem? While alcohol consumption is never an excuse for hitting someone, it can be a contributing factor in cases of domestic violence. Alcohol limits inhibitions and can make it more difficult to control your emotions and your actions. The U.S. Bureau of Justice Statistics reports that two-thirds of victims who have experienced violence at the hands of a spouse or partner say that the perpetrator had been drinking. For married people, three out of four reported incidents involved a spouse who had been drinking. If alcohol played a role in your actions, it may be time to take a realistic assessment about whether or not you have a drinking problem. Drugs can also play a role in cases of domestic violence. For example, a person addicted to drugs may use a partner or spouse’s money to purchase drugs, or may neglect some of their responsibilities in the relationship. Arguments about the behaviors relating to drug use may escalate into violence. These programs operate on the same general principles as AA, and there are several in the Los Angeles area. They include: Westside area (http://westsidena.org); Greater East Los Angeles area (http://greatereastlosna.com/); Greater Los Angeles area (http://www.greaterlosangelesna.org/); and meetings conducted in Spanish (http://www.todayna.org/espanol.html). Sometimes a spouse or a partner will make a false accusation of abuse, perhaps out of anger or out of a desire for revenge for something you’ve done (or your spouse or partner imagines you have done). What should you do if your partner accuses you of domestic violence? Or if your spouse struck you first and you simply defended yourself against another attack? It’s essential to act quickly to ensure that you have the best case against such charges. Your reputation in the community is at stake; in addition, an unfounded charge of domestic violence could strain your relationships with your family and friends and cause problems with your employer (perhaps putting your job in jeopardy). – Consult an attorney who is well experienced in defending clients against false accusations of domestic violence. – If you were injured during an altercation with your spouse, make sure that you have documented those injuries. – If your spouse has obtained a legal injunction against you, make sure that you follow all of the directives of that injunction. – Protect your financial assets. A false accusation of domestic violence could be the prelude to a filing for divorce and an attempt to gain control of the majority of the assets in a marriage. Acts of domestic violence are not to be taken lightly, and if you have lost control and hit a partner you should seek help. But it’s also essential to get the assistance you need if you are accused of assaulting a partner and you are innocent of the charge.